Zipper was patented by Gideon Sundback of Hoboken, New Jersey, in 1913. However, it was not called a zipper until 1922 when the B. F. Goodrich Company used the term to describe fasteners on its galoshes. Prior to 1922, it was called “separable fastener.” Idea: Children could make a list of non-clothing items that have zippers. For example, some binders have zippers. They could view the patent at: Zipper Patent. Duke Ellington (born Edward Kennedy Ellington in Washington, DC, 1899; died New York, New York, May 24, 1974) was a jazz pianist, bandleader, and composer. He wrote over two thousand compositions, including some for musicals, ballet, opera, and movies. He performed over 20,000 times in 65 countries with his jazz big band. One of his most famous pieces is It Don’t Mean a Thing (If It Ain’t Got That Swing). Children can learn more at: Ellington. 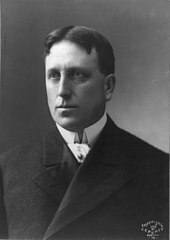 William Randolph Hearst (born San Francisco, California, 1863; died Beverly Hills, California, August 14, 1951) became a media baron. At one time he owned 25 newspapers, several magazines, and a newsreel company. He is also remembered for building San Simeon, a huge estate in California. It had, among other luxuries, a zoo and an airport. Zubin Mehta (born Bombay, India, 1936) is a renowned conductor. He received India’s highest award, the Padma Bhusan (Order of the Lotus) in 1967. Ron Roy (born Hartford, Connecticut, 1940) writes books for children. He is best known for his A to Z mystery series and his Capital Mystery series. Children can visit his website at: http://www.ronroy.com/. Jill Paton Walsh (born London, England, 1937) writes books for both children and adults. Her children’s books include The Dolphin Crossing and Fireweed. Children can visit her website at: http://www.greenbay.co.uk/jpw.html.